1 Peter Barnes Famous Sayings, Quotes and Quotation. 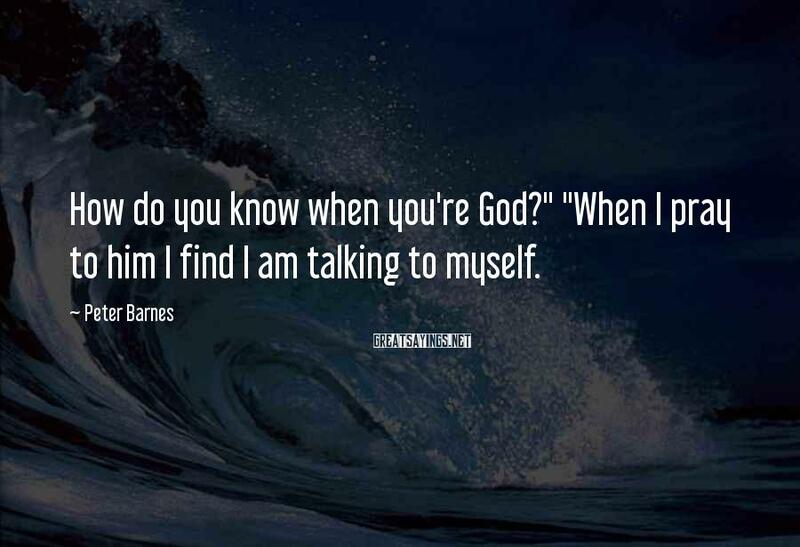 How do you know when you're God?" "When I pray to him I find I am talking to myself.